Most of today’s conversations around technology are centered on the successive waves that have been sweeping in since the Internet became a real thing in the early 1990s. We’ve gone from web-based applications to cloud computing to smartphones to artificial intelligence to virtual reality to crypto protocols. Every time, the new “new thing” takes over the conversation and some claim that it will change everything while others are skeptical that it will be ever used at a large scale. One could argue that this concept of technological waves impedes our understanding rather than improving it. It breaks the history of the current technological revolution into separate episodes rather than revealing a continuity essentially fueled by two general-purpose technologies: computing and networks. It insists on the technological dimension rather than on the political and economic ones—and this at a time when technologists are failing us on both those fronts. It distorts our view of the world by making us focus on technological devices rather than on the humans who use them. It doesn’t help that the world of technology is populated by, well, technologists. For some reason, this particular population rarely appears as humanity’s best friend. There’s the fascination for the assumed perfection of machines as opposed to humans. There’s the unease in human relationships that contributes so much to the cliché of nerds stuck to their screens rather than speaking to other people. There are the weird fantasies around the singularity and becoming immortal. And there’s the eye-popping absence of women, with its dire consequences. A good way to refocus the conversation is to to use the concept of the “multitude” that Henri Verdier and I borrowed from Italian post-marxist philosopher Antonio Negri when we wrote our book L’Âge de la multitude back in 2012. We came up with this concept when trying to position the book and its core thesis. Because we wanted simple ideas to explain the digital economy (in our case, to the French elite and general public), we were looking for a polarizing view of what technology is all about. And we came up with the following, simple idea: “Now there’s more power outside than inside organizations”. What exactly is the nature of that outside power? 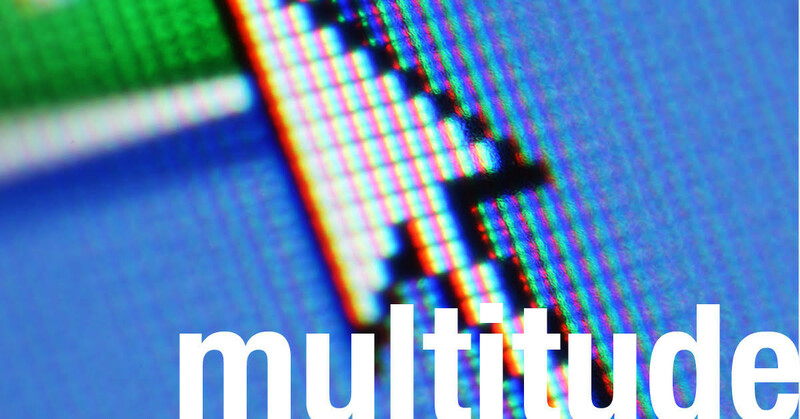 For Henri and me, today’s power is vested in this mighty “multitude”—the billions of individuals who are now equipped with powerful computing devices and connected with one another through networks. And it inspires a lesson in strategy and management that every corporate executive needs to keep in mind: the businesses that succeed in the digital economy are the ones that realize how power has been redistributed outside of their organizations. The winners are not the companies who use the most technology. Rather, they are the companies that best use technology to harness human power, which in turn fuels growth and generates profits. Of course the world didn’t wait for Henri and I to develop the idea of the networked multitude. Before us, there were Don Tapscott’s “Wikinomics”, Shoshana Zuboff’s “Distributed Capitalism”, and the more widely used “Web 2.0” crafted by Tim O’Reilly and Dale Dougherty. While most people—including policymakers and journalists—like to talk about robots and software, many others realize that value creation is mostly about the many humans that computing and networks have so greatly empowered. Indeed every single technological wave that’s been sweeping forward during the past 20 years can be reinterpreted in terms of how it contributes to the ever-increasing power of the multitude. Web-based applications and cloud computing consisted in pooling the computing power provided to billions of Internet users. Smartphones made it possible for these users to be connected most of the time rather than only when they were sitting at a desk. Big data was the result of the multitude using applications at an even larger scale. Now artificial intelligence makes it possible to store the power of the multitude so as to use it later by running well-trained algorithms. And finally crypto protocols provide us with a way to incentivize the multitude in contributing to network effects. Overall, it all revolves around ubiquitous computing and networks—and it’s all about the power of the humans more than that of technology. Realizing the centrality of the (human) multitude in the economy won’t solve all the problems the current transition is bringing about. But as detailed in my most recent book Hedge, which is about inventing a new Safety Net for the current Entrepreneurial Age, embracing this narrative is a step in the right direction. It’s not only that the concept of the multitude provides technologists with a clear explanation of what their own work is about. It also helps us realize how we create value in the new techno-economic paradigm and the new social and political challenges we now need to tackle. Indeed the constant pressure on wages and the downward quality of jobs has but one explanation: the unprecedented power of customers is weighing almost exclusively on the shoulders of workers. Customers are able to use computing and networks and organize as a multitude to bargain with corporations whereas workers are still constrained by the legacy rules that govern the workplace. Likewise, the widespread instability of the Entrepreneurial Age can be explained by the many ups and downs of large network-driven consumer markets, on which the multitude calls the shots in its very unpredictable and erratic way. Never before have both private and public companies been able to lose their assets in such a short amount of time, as we’ve seen in the examples of MySpace and Yahoo disappearing into oblivion, or Uber sounding the retreat in China and southeast Asia. We cannot solve these problems until we realize that they are dominated by a human dimension rather than a technological one. It’s time to take a step back and accept that it’s the multitude—we humans—that drives the economy, not the latest technological breakthrough performed by scientists in a research lab or the most advanced software architecture deployed by engineers in a garage. Indeed the power of the multitude is to the Entrepreneurial Age what mass production was to the Fordist age: both a blessing (because it fuels economic growth) and a curse (because it comes with adverse consequences). That is what must become the basis of our too-long-awaited effort at institutional innovation: understanding the power of the multitude is the starting point for making our Entrepreneurial Age more sustainable and inclusive.